Look no further than Heer Realty to help you find the perfect Sacandaga Lake camp, vacation house, or dream home. Do you have a buyers agent? You Should! Dean Heer is our expert Sacandaga Lake realtor. His knowledge and expertise of the surrounding communities will provide you with excellent guidance when looking to purchase or sell a home on Sacandaga Lake! The real estate market on, and around Sacandaga Lake can be complex, which is why you need a real estate agent with strong knowledge of the current market. Our real estate agents use the internet, mobile applications, real estate websites and real estate publications to advertise our client’s properties, gathering them the largest amount of exposure possible within the greater Sacandaga Lake / Adirondack area! 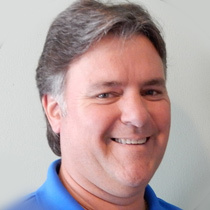 With the years of Sacandaga Lake experience and local connections, Dean Heer of Heer Realty Inc. will provide you with the most courteous and professional real estate services. He would love the opportunity to prove to you why we are so confident in his ability to help you sell your Sacandaga Lake property. WANTED: Sacandaga lakefront/side camps or homes. Eager Buyers Waiting! Over $1 Million in Recent Sales! To see a complete list of available Sacandaga Lake properties for sale, or to find out what your Sacandaga Lake property is currently worth in today’s market, simply contact Dean Heer directly, and he will set up an appointment to provide you with a FREE Market Analysis.